Enjoy the popular traditional look in your bathroom with this beautiful vanity. The beige tan marble counter and white solid wood base make this piece great for any bathroom. The double-door cabinet and drawers are great for putting away bathroom items. Put together your perfect bathroom with this stylish vanity set from Wyndham Collection. Berkeley 36-inch W 5-Drawer 2-Door Vanity in White With Marble Top in Beige Tan With Mirror Enjoy the popular traditional look in your bathroom with this beautiful vanity. The beige tan marble counter and white solid wood base make this piece great for any bathroom. The double-door cabinet and drawers are great for putting away bathroom items. Put together your perfect bathroom with this stylish vanity set from Wyndham Collection. 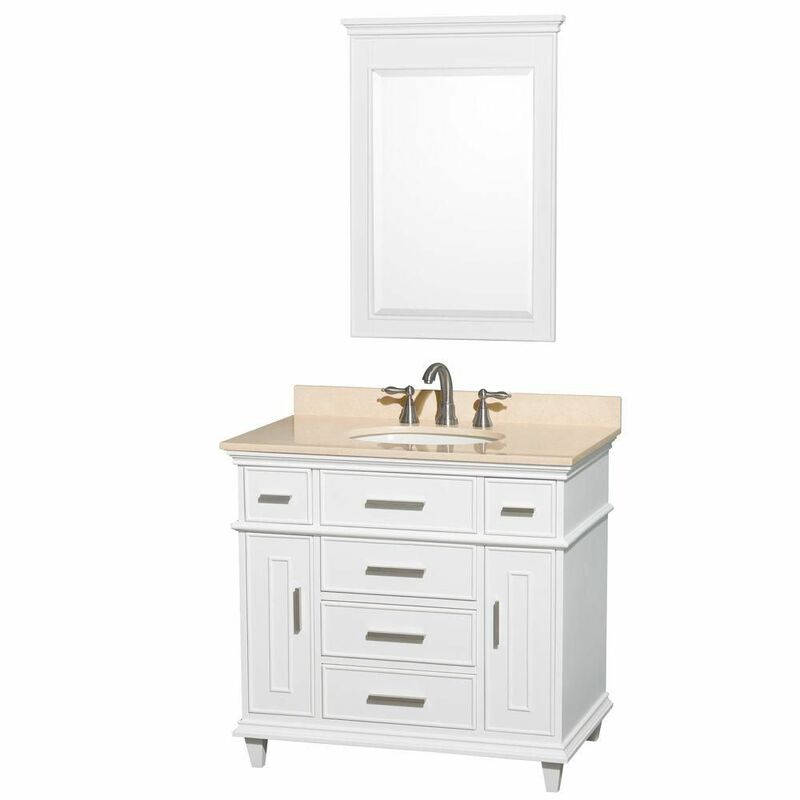 Berkeley 36-inch W 5-Drawer 2-Door Vanity in White With Marble Top in Beige Tan With Mirror is rated 1.0 out of 5 by 1. Rated 1 out of 5 by Gerard from I would have given it a good rating if it... I would have given it a good rating if it was not for the fact that the backsplash was delivered broken.I'm still waiting for an acknowledgement from Wyndham as to when the replacement part is going to ship. Since nothing else in the delivery was broken or damaged, I believe the backsplash was already broken when it was packaged.